Agriterra an agri-agency founded by the Dutch since 1997 has been working in order to strengthen farmer organizations and cooperatives worldwide in order to fight hunger and poverty. With more than 7000 cooperatives among which 2500 cooperatives actively working including some of the biggest agricultural cooperatives in the world, the agency helps farmers’ organizations that want to take the next step by providing advice, training and exchange programmes. The agency believes in the concept of small money, huge knowledge and big impact. Like many other agricultural countries being supported by Agriterra, Nepalese organisations have been a beneficiary of its services since 2012. However, it became more prominent after the establishment of its office in Kathmandu in 2016. Since then, the agency has been supporting 15 organizations of Nepal and the number is increasing every year. It was made clear by the visit of Mr. Richard van der Maden, Business advisor and Mr. Yorick Bruins, Business advisor from Agriterra Netherlands who were guided by Trijan Singh and Rijan Oja from Agriterra based in Nepal. 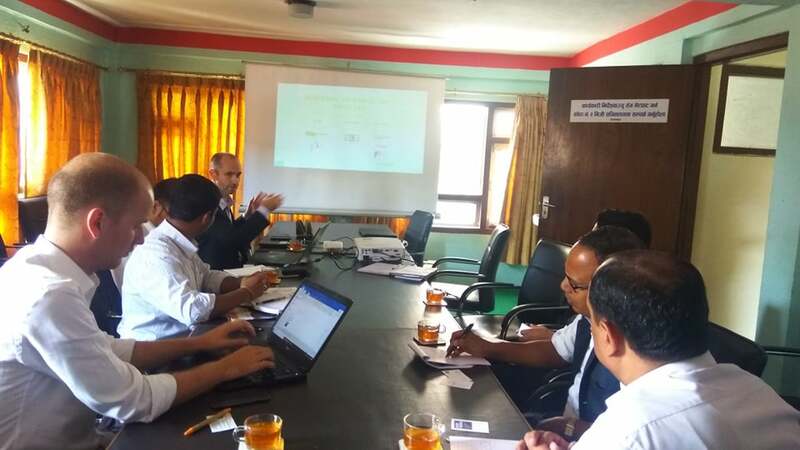 Their team is visiting various coffee cooperatives in Nepal with a plan of establishing partnership program with the stakeholders through “Nepal cooperative development partnership program (NCDPP)”. Apart from coffee, Agriterra is supporting various cooperatives which are agro-based, including tea, potato, vegetables and dairy. According to Mr. Maden, Nepal has individual multipurpose cooperatives working in various agricultural sectors and subsectors in a single place but in Netherland the scenario is quite a lot different. There are single purpose cooperatives working only in a particular sector such that a single farmer can become member of as many cooperatives as he/she likes to be as per the individual’s requirement. As a result the country with 17 million population has over 25 million cooperative memberships. Mr. Maden also made it clear that cooperatives are not followers but leaders and successful leading cooperatives make a difference, this is the reason Agriterra provides hands on expertise on key issues such as operational management, governance, financial management, business development through marketing of agricultural products, extension services, setting up of study groups and record keeping for farmers. National Tea and Coffee Development Board would like to extend best wishes to Agriterra for more success and would also like to thank from the deepest core of our hearts for helping unleash the power and capabilities of various agricultural cooperatives in the economic development of Nepal and we also look forward to working hand in hand with Agriterra in the coming days.